In 2017, the company posted a profit after tax of K3.9 billion. 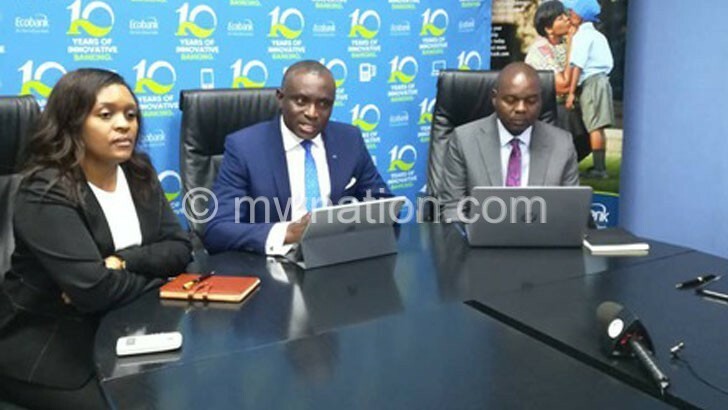 Speaking during the press briefing on the company’s financial results in Blantyre on Friday, the bank’s managing director Charles Asiedu attributed the profit to strong growth in revenue and operating costs controls. Asiedu said: “We were very strong in the agricultural sector, we supported Farm Input Subsidy Programme (Fisp) and the bank was involved in the energy sector by the importation of fuel and supporting Reserve Bank of Malawi in stabilising the economy through export sector. He also said the bank introduced world class product for customers in the market. “We are the only bank serving small and medium enterprises and individuals to buy and sale online. We have a mobile banking platform that helps customers to deal internationally and we are the only bank that without an account, one can be able to own a card that helps to transact and we promise to introduce new products that will excite customers,” said Asiedu. The managing director pointed out that the bank has positioned itself to be the third largest bank in the country.